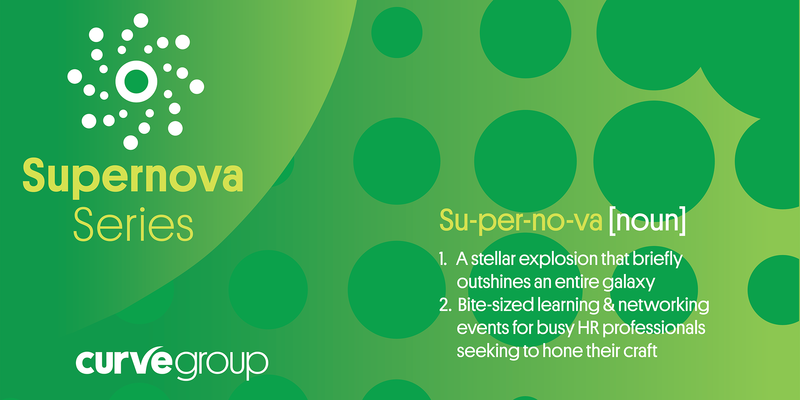 Announcing our brilliant panel members for our upcoming Supernova breakfast! with the following leaders and innovators, who are driving change in their field, and generating creative conversations within the business community on the future of work. Julie Kirk, is the Global Head of People at eNett International, a global financial technology company that’s redefining virtual payments for the travel industry, and formally the HR Director at Experian, a leading global information services company. Julie exudes high energy and passion; renowned for challenging the status quo and taking calculated risks. In 2018, this mantra earned Julie and her global HR team a spot on the HRD’s Magazine Innovative HR Team of 2018! Andrew Jones, is an Innovation & Design Thinking Specialist & Co-Founder of G2 Innovation whose firm specialises in training businesses in Design Thinking and user-centric innovation. Andrew is both passionate about and experienced in all aspects of innovation and will bring a fresh and deeply insightful view on disruption and its effect on the world of work and people. Amanda Robertson, is the Director, HR Projects and Director, Leadership and Organisational Development at Monash University. Amanda is a HR professional with over 25 years’ experience in HR leadership and management roles. Amanda will share stories of leading the transformation of HR practices at the University, leveraging design thinking, technology and agile methodologies. Shaun Keating, is the Chief Product Officer & Head of Australia & New Zealand for TrustSphere, a global pioneer in Relationship Analytics technology. Leveraging current digital communications systems, TrustSphere can identify and quantify relationships at scale, surfacing actionable insights to key business challenges. Shaun will share his experience on how data and technology can come together to provide insights into business issues. “Rethinking People, Culture and Change practices” aims to explore how fundamental methodologies are combining, or being enhanced with new ideas from digitalisation, human centred design, as well as social relationship and data analysis. Come listen, and share your thoughts on what is important to you, and your organisation. Hear from our panel on what they are prioritising for their strategic people initiatives in the coming year, and also, how they are meeting the new challenges of a changing workplace. Come join us for a bite to eat, and an opportunity to share with like-minded professionals. Join us at our Venue: The Cube ACMI – Federation Square, Corner of Swanston St & Flinders Street. Enter via the Flinders Street side entrance. Getting There: The Cube is easily accessed by a range of transport options. Light breakfast & refreshments included (Note: vegetarian options will be available however, if you have other dietary requirements please email: by C.O.B Monday 12th March. For more Information: Contact Sarah Mallory at Curve Group via Email or 0430 148 554.